Juliayn Coleman is a bookbinder in private practice in Oakland, California who also teaches at the San Francisco Center for the Book. She received a diploma in bookbinding and book conservation from the North Bennet Street School in Boston, Massachusetts in 2003. Her books have been shown at the San Francisco Public Library, The Geisel Library of UCSD, the Chicago Public Library, and the Boston Architectural Center. 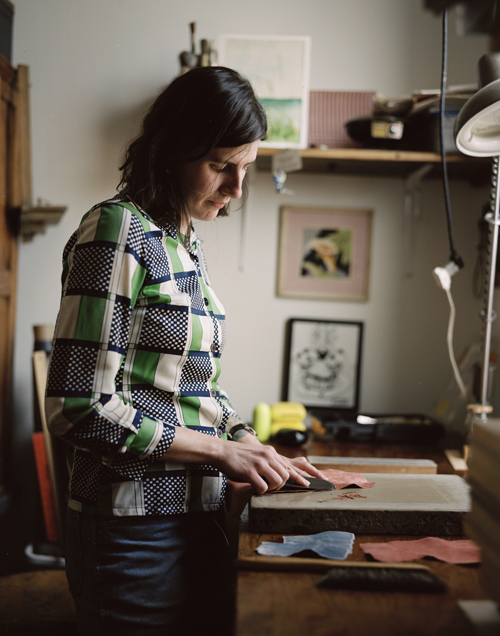 She is a member of the American Institute for Conservation, the Guild of Book Workers (US) and Designer Bookbinders (UK). Recent clients include the California School for the Deaf, Santa Clara University/Mission Santa Clara Archives, the Chicago Symphony Orchestra, and many private collectors. Contact me via email if you have any further questions. Thanks! not only beautiful work on your site but great advice.